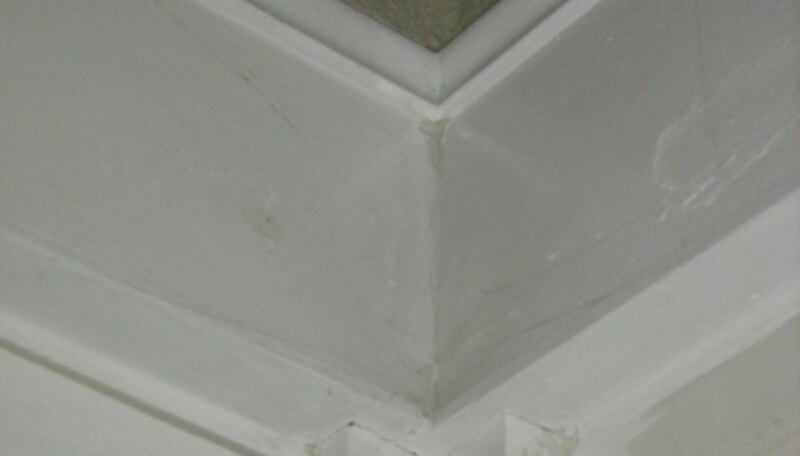 A window casing is the trim molding that encases a window. It originates from the windowsill and wraps up and around the window. The stool and apron (windowsill) are generally considered separate from the actual casing. Some windows in modern homes only have windowsill moldings, and the area surrounding the windows are faced in sheet rock and plaster. 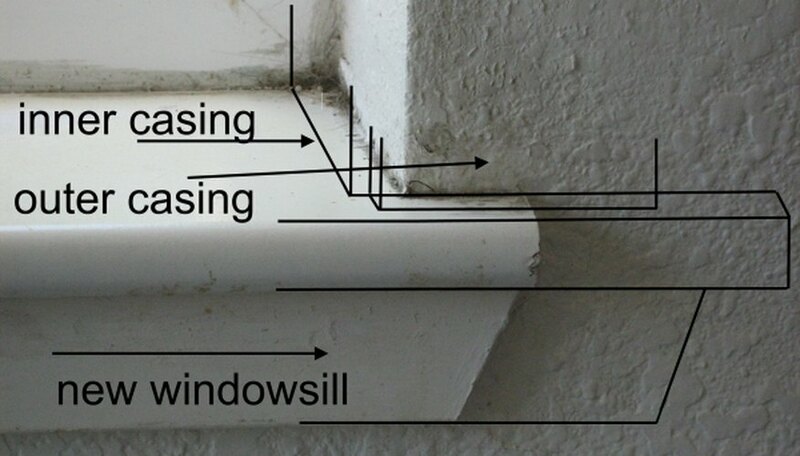 To case this type of window, the windowsill often needs to be replaced so that the stool ends can be extended along the wall on either side of the window to receive the new casing. The window casing should sit on top of the stool, and the stool should extend one half inch beyond the edge of the new casing. 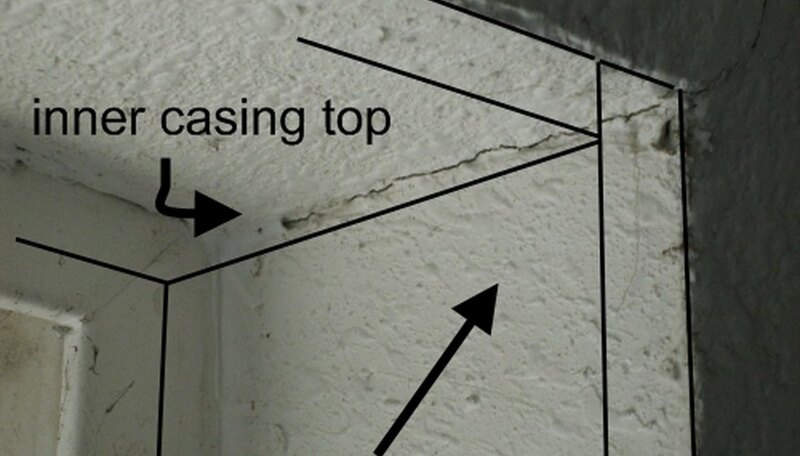 Measure the inside wall between the corner of the sheet rock and the manufacturer's window frame. This will often be 3 to 4 inches wide. If it is more than 4 inches wide, use the 6-inch optional board. Mark three boards and reduce the width of the boards as necessary by cutting them on the table saw to fit the actual dimensions of the measurement. Measure the height between the new window stool (made with wider dog ears to receive the new casing) and the sheet rock at the top of the window. A dog ear is the narrow section of the windowsill (stool) that wraps around the corner of the window on either side, extending along the wall. The interior casing on recessing windows is built first, and then the facing casing that mounts to the wall of the room is installed last. This way, the window trim on the wall can cover portions of the inner casing. Cut and install the sides of the inner casing using the finish nail gun at the top, mid-point and bottom. Measure the width between the two new inner casings along the top of the window. Cut and install the top inner casing using the finish nail gun. Measure the outer (facing) casing (one by three inch material) sides from the top of the stool to one half of the depth of the new upper inner casing. The outer casing will cover half of the new wood creating a decorative reveal (exposed edge revealed by the placement of the trim on top). Install the side facing casings using the finish nail gun. Use only the number of nails that are necessary to pull the trim to the wall. Each nail hole that is created will have to be filled later. Measure from the outside of one outer casing to the other. Mark the lath board one half to three quarters of an inch longer than this mark. The lath will protrude one quarter of an inch forward and beyond the casing to provide an interesting reveal detail. Cut your lath, and then sand the cut edges to match the rest of the lath. Install the lath running across the window and on top of the two facing casings so that the lath is one quarter of an inch beyond the edge of the casing on each side. Use the finish nailer to nail the lath into the casing from the top down. Measure the width of the lath less one quarter of an inch and, using the one by four inch material, mark and cut the board to length. Mark and cut the finish trim to length at the same time when using a top trim. Glue and nail the decorative trim to the top casing before installing the casing. Install the top casing by centering the board on top of the lath. This should be slightly wider than the edges of the casing below to give the top casing more visual presence. Nail the casing in place with the nailer gun. Use the hammer and nail set to tap in any protruding nails. 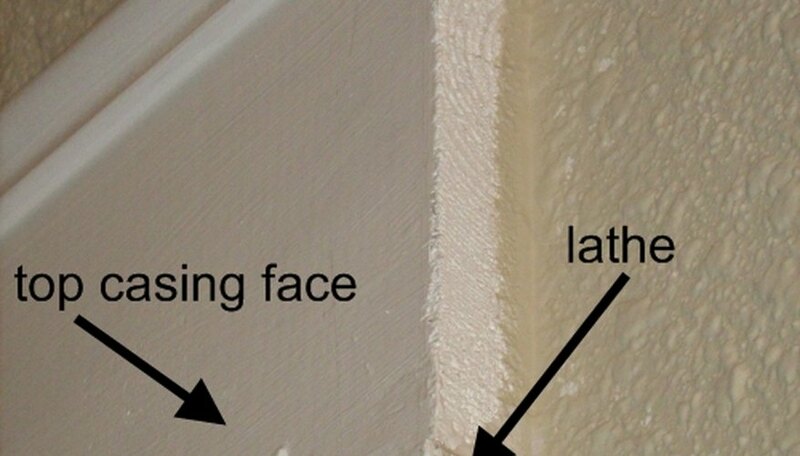 Fill the nail holes with wood fill and caulk the seams. Allow the fill and caulk to dry and lightly sand the new casing as necessary. (Image shows adjoining corners when they occur).